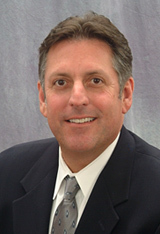 Barry Chaplik, President and founder of Chaplik Trading. Chaplik Trading Company is a privately held firm focused on all aspects of the paper industry. Operating inside the United States as well as internationally, our multi-dimensional capabilities including paper sales, consulting, waste paper management, liquidation and import/export services, have established our strong reputation around the globe. After working in all facets of the paper industry for over a decade, Chaplik Trading Company was founded by Barry Chaplik in 2005 with an objective to offer education, service and savings, which is the cornerstone of our philosophy that catapults our clients to a new level of success and profitable operations for years to come. By effectively combining our expertise, supplies and partners worldwide, Chaplik Trading has become a global leader. Through active involvement in all facets of business, having a disciplined approach and proven results, Chaplik Trading Company has proven itself as a world class company providing first class service. We look to the future with optimistic eyes for long term growth. We expect to build a market leading company, fusing our global network of relationships and proven ability to add significant value to our clients.